Expect 1H19 to come in short of our, and consensus full-year, forecasts. 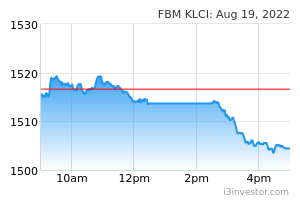 We expect its core 2Q19 PATAMI, which is due to be released by endMar 2019 to be lower sequentially (1Q19 PATAMI: RM110.1m) due to: (i) normalising demand as delivery lead times have shortened, (ii) competitive pressure, and (iii) margins pressure emanating from the appreciation of MYR vs. USD (average +1% QoQ appreciation in MYR against USD). Ceteris paribus, assuming if ASP is QoQ lower by 4% but sales volume is up 4%, 2Q19 PATAMI could be RM109m (-1% QoQ) which will bring 1H19 PATAMI to RM219m (+2% YoY) or 45%/43% of our/consensus full-year forecasts. We consider such results to be below expectations as we expect subsequent quarters results to be muted down by normalising demand, swelling capacities and intensified competition and hence ASPs pressure. Competitive pressure, demand tapering off. From our channel checks, we gather that competition in the nitrile gloves segment has intensified leading to pressures on ASPs. Note that, generally, rubber glove ASPs have risen by an average of 25% since end-2016. As such, coupled with the moderating demand and in anticipation of new capacities ramp-ups, we would not be surprised if ASPs come under further pressure over the next two quarters. We understand that over the past six months, delivery lead times (the time frame between order and delivery) have shortened from 60-70 days compared to 30-45 days, potentially indicating that strong demand is tapering off. Outlook. 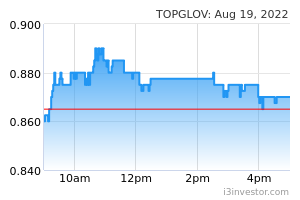 Looking ahead, Top Glove is in the process of constructing several manufacturing facilities namely, Factory 32 (Phases 1 & 2 to be completed early-2019 and end-2019, respectively; 3.4b pieces), Factory 33 (operational by 4Q 2019; 1.2b pieces), Factory 5A (operational by 4Q 2019; 2b pieces), Factory F40 (operational by 4Q 2019 and 1Q 2020; 3b pieces), Factory F42 (operational by 3Q 2020; 2b pieces) and Factory 8A (operational by early 2020; 3.2b pieces) which will boost the Group’s total production capacity by 14.8b gloves per annum to 75.3b (+19.6%). Downgrade FY19E/FY20E earnings by 5%/4%. We downgrade our FY19E/FY20E net profits by 5%/4% to take into account the lowerthan-expected ASPs. Maintain UNDERPERFORM. Correspondingly, we downgrade our TP from RM4.45 to RM4.20 based on an unchanged 23x FY19E EPS (+1.0 SD above 5-year forward historical mean). Apart from the lukewarm prospects over the short-to-medium term, we believe the irregularities discovered at Aspion could take longer-than-expected to recover. A key upside risk to our call is the higher-than-expected sales volume.